Vern Boatman and Victoria Boatman participated in the Storm Prep 2016 broadcast from the News 6 Studios. They manned the phone lines answering questions from local residents as Tropical Storm Colin impacted Orlando, Winter Park and the entire state of Florida. 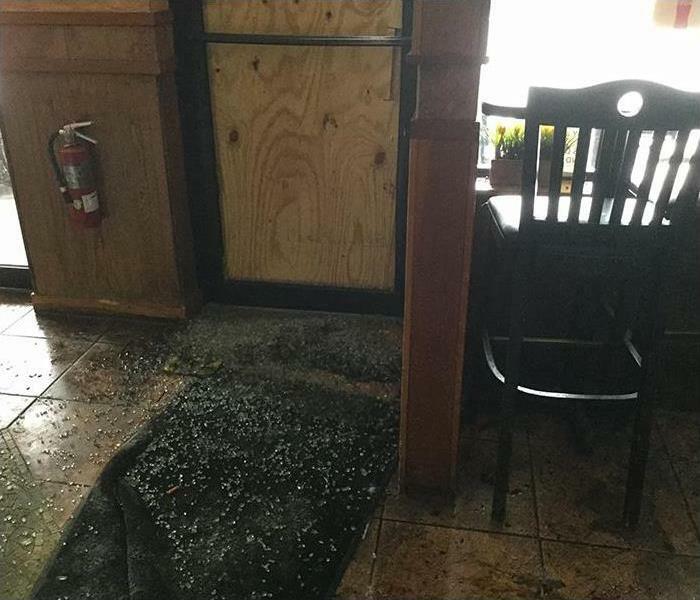 Helping home and business owners recover from storm or flood damaged properties is our specialty. We’re available 24/7 and can responding immediately to your residential or commercial property storm damage. If you need information on how we can help you prepare or recover from a storm, call us at today (407) 678-5391. 'Touch a Truck’ event in Maitland, FL. 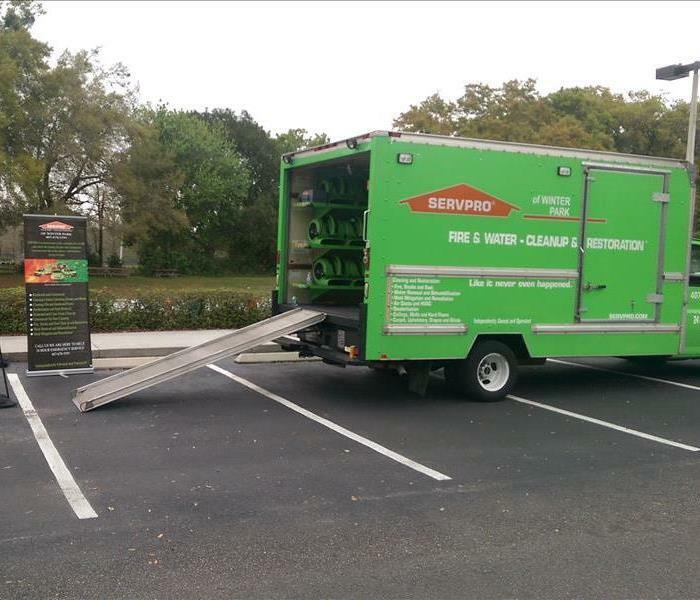 SERVPRO of Winter Park participated in the recent 'Touch a Truck’ event in Maitland, FL at the Orangewood Christian School. Parents and children of all ages enjoyed the unique, interactive, fun event held in a carnival-type atmosphere where children can climb on, learn about, and explore various trucks. They even had the opportunity to meet the people who use these vehicles to serve our residents in Orlando, Winter Park, College Park and the surrounding areas. Touch-A-Truck was fun for the whole family. We are always glad to help the local community. The Central Florida Hotel & Lodging Association (CFHLA) is one of Central Florida's largest and most influential trade groups. The membership includes nearly 80% of the more than 119,000 hotel rooms in Orange, Seminole and Osceola counties, and nearly 500 "supplier" organizations that do business with the hospitality and tourism industries. CFHLA membership is dedicated to supporting the industry in Central Florida. Members socialize with the "Who's Who" of the local hospitality industry and have a voice in the governmental, social, cultural and charitable fabric of the Central Florida community. 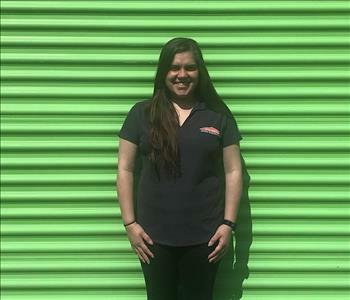 SERVPRO of Winter Park is a trusted leader in the restoration industry and is proud to support the local Orlando and Winter Park community efforts. The 5th Annual Touch-a-Truck Family Festival was a roaring success. The local schools benefit from this fun fund-raiser in the Downtown Orlando Area. This family oriented event provides our local children an opportunity to experience the vehicles that their dads and neighbors use for work. 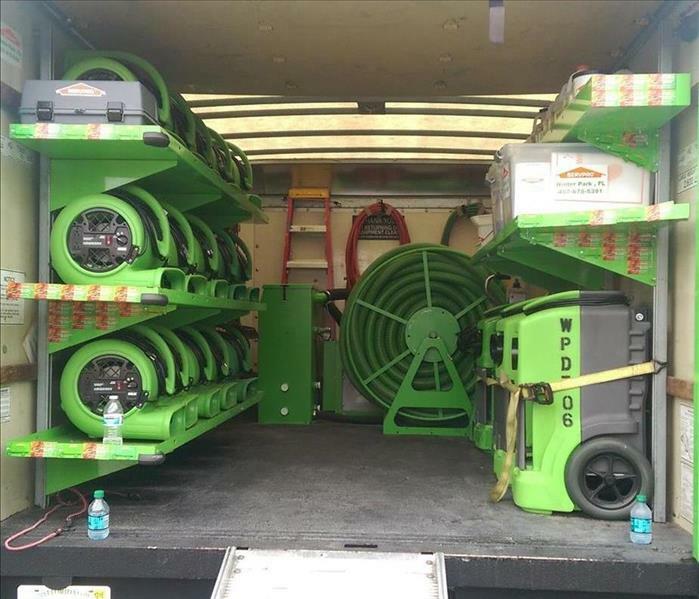 What kid doesn't want to hop in a fire truck or a Green Box Truck from SERVPRO of Winter Park? We were as happy as the children and were proud to do our part to serve our local communities. Thanks to all who took part in this year's Touch-A-Truck Community Event. The team from SERVPRO of Winter Park was proud to participate in the 63rd Annual Winter Park “Ye Olde Hometown” Christmas Parade. The parade had over 100 entries spreading holiday cheer to the young and young-at-heart along the way. We were happy to see friends and neighbors from Winter Park, Orlando, Thorton Park, College Park, Baldwin Park, Waterford Lakes, UCF and surrounding areas. Happy holidays from our family to your family. SERVPRO of Winter Park's 4th Annual Touch-A-Truck. Kids of all ages loved this unique, interactive community event held in a festival-type atmosphere where children climbed on, learned about, and explored various trucks, as well as met the people who use these vehicles to serve our community. Touch-A-Truck was pure fun for the whole family! THANK YOU to everyone who made Touch-A-Truck 2015 a huge success. Our family is ready to help your family. Susan, Victoria and Savanna from SERVPRO of Winter Park participated in the Annual Winter Park Christmas Parade. We were happy to see our friends from Maitland, Downtown Orlando, Thorton Park, College Park, Baldwin Park and surrounding areas support the parade. We are proud to be an active member of the Winter Park, FL community and want to do our part to make our community the best it can be. The 4th Annual Touch-A-Truck festive, family event was a great success. Kids of all ages loved this unique, interactive community event held in a festival-type atmosphere. 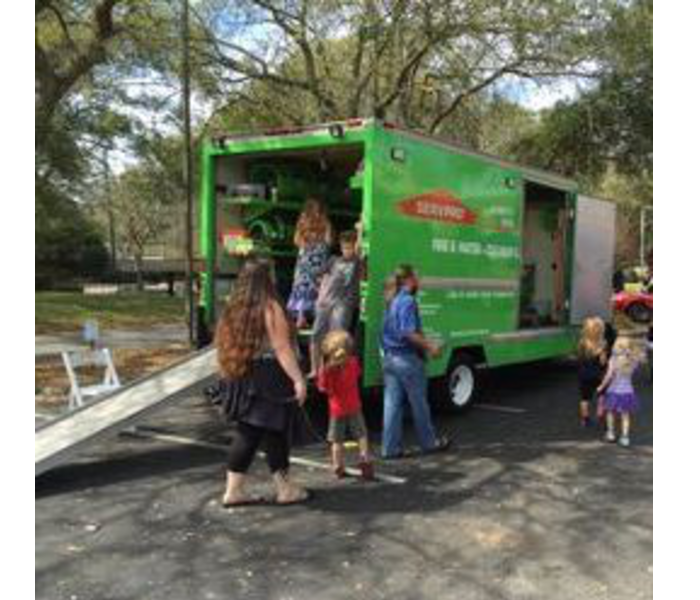 SERVPRO of Winter Park held the kids' interest with our array of equipment and tools, and we may even have recruited several future SERVPRO Technicians! Touch-A-Truck was pure fun for the whole family! THANK YOU to everyone who participated in Touch-A-Truck 2015. 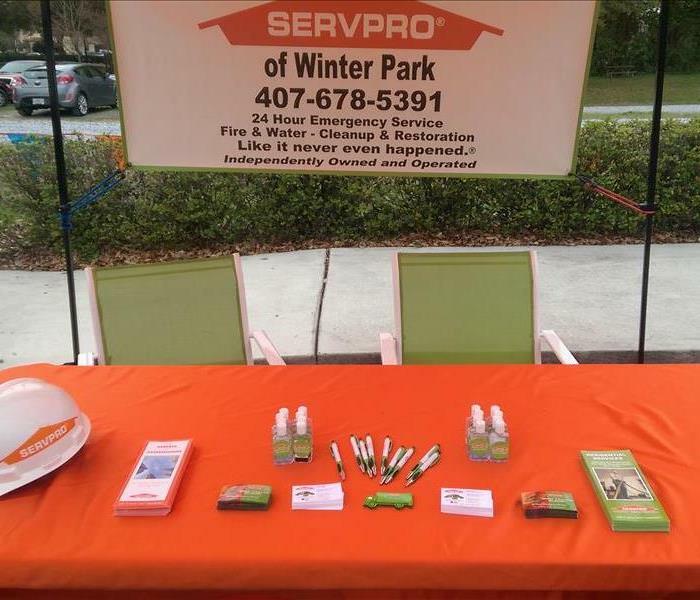 SERVPRO of Winter Park's 4th Annual Touch-A-Truck. Kids of all ages loved this unique, interactive community event held in a festival-type atmosphere where children climbed on, learned about, and explored various trucks, as well as met the people who use these vehicles to serve our community. Lots of fun for all who attended. THANK YOU to everyone who made Touch-A-Truck 2015 a tremendous success. 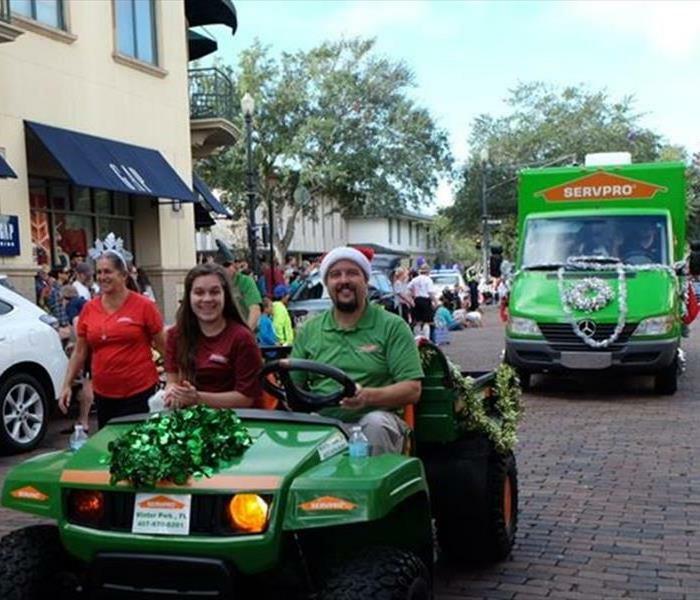 SERVPRO of Winter Park participated in Winter Park's 2014 Christmas Parade! This is the view from the driver seat of our very own GMC Box truck. In front of the truck you can see one of our owners Vern Boatman driving our SERVPRO gator while our SERVPRO elves handed out candy to everyone watching. 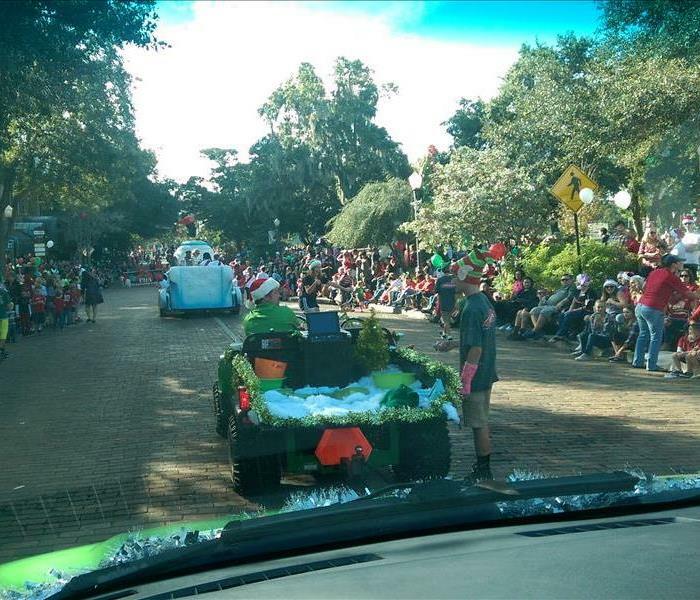 SERVPRO of Winter Park participates in the parade every year. See you there!